I was in the best of both worlds this evening, sketching while surrounded by books. 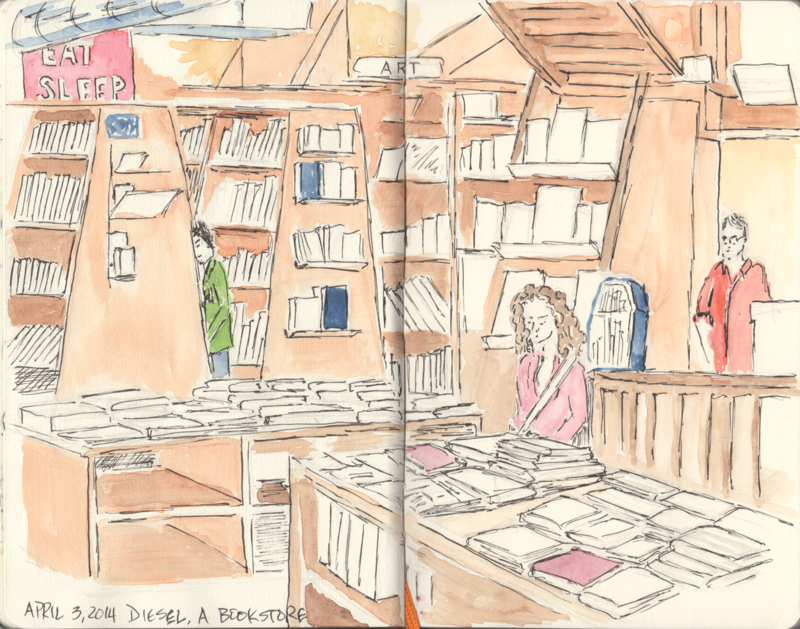 I got to hang out and sketch with SF Bay Area Urban Sketchers who met at Diesel, A Bookstore. They’re a great group of artists that meet once a month and draw on location in honor of the Urban Sketchers manifesto. Check out their Facebook group or, if you’re not in the SF Bay Area, find one near you and save the next urban sketching meet-up in your calendar.